We're pleased to announce that the Gfinity CS:GO Spring Series 2018 Playoffs will begin on Sunday, September 16th, 2018. We've extended the absolute final date to play your matches until Tuesday, September 11th, 2018 at 11:59 PM ET, due to some unforeseen issues with our plugin that were introduced by a recent game update. The regular season standings were determined using CEVO's proprietary CPI ranking system. You can read more about the CPI HERE. For the most part, the match scheduling process will remain the same as the regular season, but match extensions beyond the deadline date listed on the brackets will not be permitted. During the postseason, teams will have 24 hours from the conclusion of the match to file an official dispute. Disputes will no longer be accepted after this 24 hour window has expired. All matches will be set with a default time of 9:00 PM (default timezone of conference), but teams are encouraged to work together to find a time that works for both teams. From all of us at Gfinity and CEVO, we sincerely hope you had a good time participating in our event and we'd like to wish the best of luck to all of the teams who will be participating in the Gfinity CS:GO Spring Series 2018 Playoffs! As previously announced here, we've released the moveup/movedown criteria heading into the next season. The Main, Intermediate, and Amateur skill divisions will play all matches as a best-of-three (bo3) map series using the current Valve Major's map pool. Maps will be decided inside of the client prior to each match with CEVO's veto system outlined below. This is a quick reminder that as of Thursday, September 6th, 2018 at 11:59 PM ET all team rosters in each skill division were permanently locked. During the Playoffs there will be ABSOLUTELY NO roster changes permitted for any team, for any reason. We enforce the permanent roster lock towards the end of each season to prevent teams from stacking up on the talent from teams that did not qualifiy for the playoffs and to encourage teams to remain together for duration of the season. ALL roster members from each winning team must follow the instructions below to be eligible for payment. Players may begin sending in their earnings forms as soon as the final match in their specific event (ie. CS:GO Spring Series) has been completed. Every "Ready" player on the roster will receive an equal share of the team's prize money, regardless of whether or not they participated in any matches, and only players who have submitted their earnings forms within 30 days of the conclusion of the event will be paid out. Players who wish to forfeit their share of the money to the rest of their team can do so during the prize claim process. All prize claims will be processed within 60 days. To submit your winnings request or forfeit your prize, please use the following instructions. NOTE: All prize claim requests will be processed by CEVO staff within 30 days of submission. 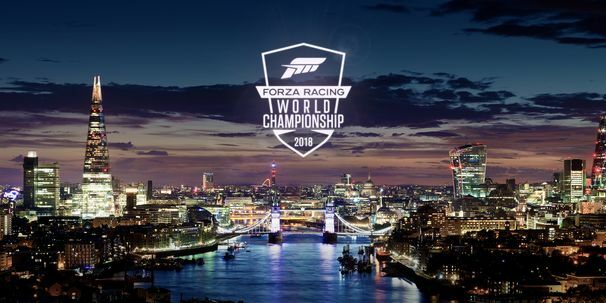 Tickets to the Forza Racing World Championship 2018 are now on Sale!